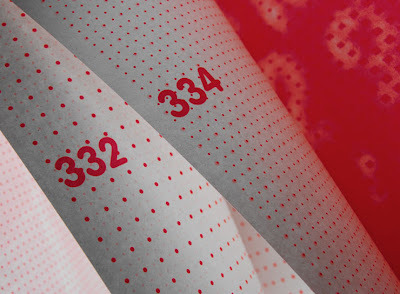 Loving this journal from BBSaunders at Blanka - its numbered... one for every day of the year. I like the squares [I prefer them to lines] and the general quality of their product. Nice. 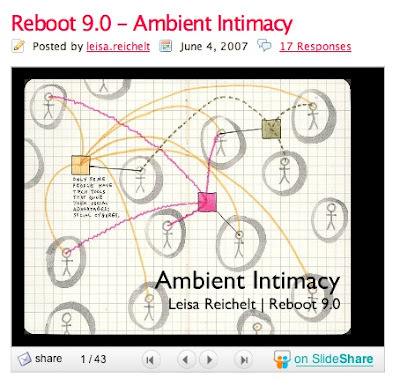 Ambient Intimacy is a term to describe that sense of connectedness that you get from participating in social tools online that allow you to feel as though you are maintaining and, perhaps in fact, increasing your closeness with people in your social network through the messages and content that you share online - be it photographs or text or information about upcoming travel. I wave to chap who works near the Train Station in Motherwell... I know him through Flickr - its weird but cool... and something that will only grow in importance. Read up. Great article Leisa! 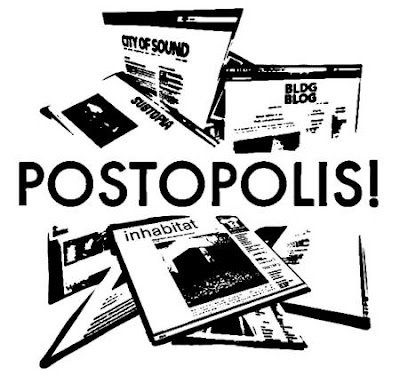 Been following Postopolis from afar and have to say their approach to a conference is one that I think can be learnt from. Something to think about... Something for the emerging expressions of church in Glasgow to learn from... in a Paul T Dreamday kind of thing. 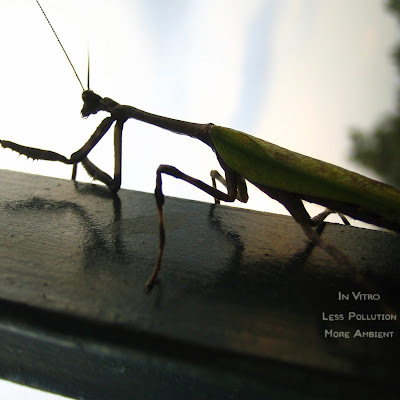 Lastly, loving the latest Mixotic mix from In Vitro - its a beautiful collage of ambient soundscapes that includes a track from Des Slow And The Stop Pills from my fav netlabel Earth Monkey - well worth a listen. My thanks to Monocle and Russell Davies for the various heads up... Thanks too to Simian Shaun for reminding me of Mixotic. Nice.